Explicit TPB - EP 124 - Year 4 - A WHOLE NEW BAG! 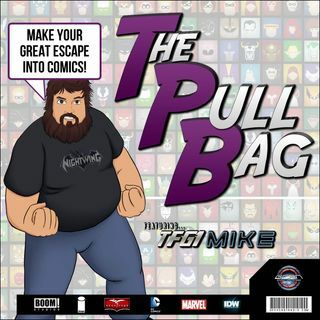 In the 124th episode of The Pull Bag TFG1Mike gives a preview of what is to come in YEAR 4 of the podcast! He also tells you about a few things that happened in year 3! So jump inside The Pull Bag And always remember to MAKE YOUR GREAT ESCAPE into Comics!!! !